Starring: Edward Norton, Susan Sarandon, Keri Russell, Tim Blake Nelson, Josh Pais, Melanie Lynskey, Pruitt Taylor Vince, Ty Burrell, Steve Earle, Richard Dreyfuss. The last time Edward Norton shifted between characters, showing his range, was in his film debut “Primal Fear”, gathering him an Oscar nomination and catapulting him to stardom. Here, he does similiar work, but the result this time, is a very mixed bag. Bill Kincaid (Norton) is a respected philosophy professor, who has also been invited to join a law firm using his philosophical teachings. Before that happens though, he recieves a call informing him that his twin brother Brady (Norton again) has been killed. 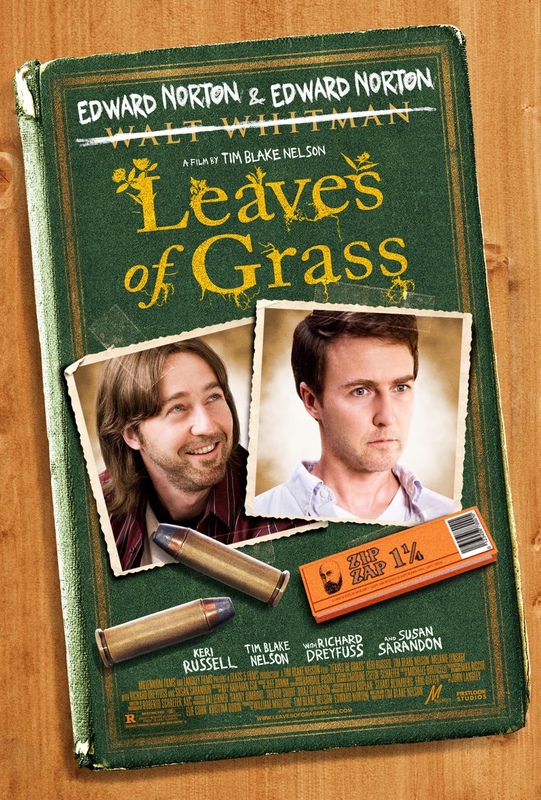 Lured back to his hometown of Oklahoma, Bill soons realises that Brady is alive and well and that he’s been fooled into his brothers involvement with growing marijuana and taking on a local criminal (Richard Dreyfuss). Maybe working with the Coen brothers (on “O Brother Where Art Thou?”) has lead director/writer/actor Tim Blake Nelson into a false sense of security in his talents and delusions of granduer. It seems as though it’s the Coens’ effortless, genre blending skills he’s trying to emulate here but he simply doesn’t have their finesse. This is an uneven mish-mash of ideas with gaping holes in the plot and extreme changes in tone, shifting from a humourous approach to downright nasty and violent. It doesn’t get the balance right at all and might well have worked better had it decided what it wanted to be. Instead, it meanders, playing unsuccessfully with genres and only marginally keeping your interest with the impressive actors on screen. A real shame despite the talent involved. Norton and Susan Sarandon (who plays his mother) are two of my favourites. Nelson is always good support and also seems to have a good grasp of philosophy, but this time around I can only assume that the studio got their hands on this one, cutting it to shreds. Otherwise, it’s been a big mistake by all involved. Its fairly appealling to watch Norton play off himself but he’s been much better before and the script seriously let’s his efforts down. A philosophical, hydroponic mess. This entry was posted on January 26, 2012 at 11:30 pm and is filed under Comedy, Drama with tags 2009. You can follow any responses to this entry through the RSS 2.0 feed. You can leave a response, or trackback from your own site.